Fiction as a genre takes many forms and evokes many moods. Many a novel derives from the experience of its author, his or her life world and life ways. So too perhaps is this new venture from Noel Nadesan. Nadesan is an “Island Tamil” from the north of Sri Lanka, having been nourished in the island of Eluvaitivu off the Jaffna Peninsula from 1954 onwards. Graduating as a veterinary surgeon from Peradeniya University in 1979, he was inevitably caught up in the maelstrom of ethnic conflict between the Sri Lanka Tamils and the Sinhalese-dominated government that erupted into guerilla war and then full-fledged war from 1983 onwards. Like a significant proportion of the Tamil people Nadesan became a refugee, moving initially to southern India in 1984 and then to Melbourne in Australia in 1987. From the inception of these travels he remained attached to his people and used his organisational skills in securing preventative health programmes among the lakh or so of SL Tamil refugees in Tamilnadu. Once he had found his feet and set up a veterinary practice in Melbourne he moved into the vortex of politics by becoming a key figure in a bi-lingual Tamil newspaper called Uthayam that commenced its monthly operations in 1997. Uthayam’s stance was explicitly moderate and quickly earned the wrath of the LTTE and its many hands in the Australian circuit. To this day Nadesan is seen as a “traitor” by the Tiger networks and other ultra-Tamil nationalists in Australia and around the world. he remains brave and focused on improving the lot of the people in the northern reaches of the island, especially the islands and the northern Vanni. 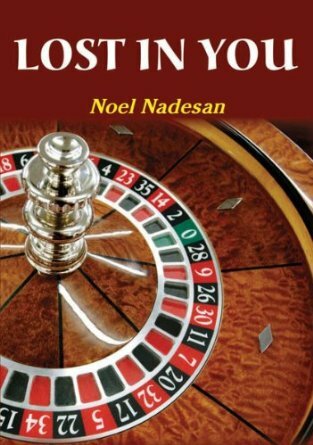 Against this background and the vortex of politics in which he has been embroiled for so long, one might expect Lost in you to be a tale of political intrigue and ethnic relations. Not so. Life has many motifs has it not? Migrant journeys, especially rich ones that traverse unlike places such as India and Australia, entail other threads of encounter and sentiment. Exposure to difference in life ways imposes confusion, generates excitement and raises consciousness. I recall lucidly how wide-eyed I was when I migrated temporarily to England as a student in 1962 and travelled around that country and France in the summer holidays. Nurtured in staid and conservative ways in urban middle-class Ceylon, the ardent kissing in public and the mini-skirts were among the sights that fascinated me. I do not know if Noel Nadesan was as corseted as I was. Though the Jaffna people of the 1960s and 1970s are widely reputed to have been extremely conservative in their gender relations, grapevine stories that I have picked up from Tamil friends and/or anthropologists suggests that there were extra-marital relations, that mistresses were tolerated in certain sectors and that circles of rural women discussed their partner’s capacities in ways that would shock middle class sensibility. Rustic earthiness is a possibility that one has to contemplate as a feasible empirical fact. I present this tendentious and empirically unsupported comment in order to tease … and to indicate to readers that it is this terrain of human relations and male-female dalliances, in the manner of Manju Kapur’s The Immigrant (Faber & Faber, London, 2009), that Noel Nadesan explores in his novel. This does not, of course, mean that it is based on his direct experience of life ways during his own journeys. Novels are imaginary flights and invite the reader to enjoy plot as well as characters in plot. Given his tempestuous political background and many political debates, one could say that he has moved from the heat of politics to the heat of desire – and its wounds – in this imaginary venture. Desire, whether fulfilled or fantasized in this manner, could well be balm to someone subject to the virulence of political thrust. Indeed, for a man who has been under verbal fire from so many Tamil Tigers over the years. exploring other spaces in literary form must surely be a welcome peace. It is my hope that readers will derive pleasure and calm from Noel’s voyage in the realms of imagination. Lost in you is not a first effort. Nadesan has previously published two novels in Tamil as well as two other Tamil anthologies of a documentary character that arose from his veterinary experiences. But moving into the English medium was one giant step I reckon. For a person who is not a natural linguist or a trained linguist, working in a second tongue is no easy matter. Here, then, is another illustration of Nadesan’s boldness and adventurous spirit. Whether readers will be rewarded is not for me to say. Nor should I disclose the plot or provide an abstract. In any event every reader’s journey is likely to be different. That is one beauty within novels. They engage and arouse difference. Noel Nadesan being a veterinarian,said that “LTTE forced pregnant female cadres to jump from trees, to cause abortions” !!!!! This shows that he is an intelligent man. It is not Dr.Nadesan, but I who reported what the inmates of the IDP camps in Settikumam told me. Please ask any human female in early to mid-pregnancy, who is ready to volunteer, to jump from a height of 10-15 feet and report the result. One dogtor supports another. This may be true for animals dogtor but…. What he really said was that he jumped from the trees to cause this effect. For this, you have to question the intelligence of LTTE not me , MR pseudo-name. I was told by ordinary people from the refugee camps. Lots of vets (dogtors) in the Sri Lankan camp. Do you know why?